GEORGE TOWN –– A young woman visiting the Cayman Islands with her new husband and his family died in a snorkeling accident off East End on Friday. Christina Spradling-Earls, 29, married her high school sweetheart Michael Earls just two weeks ago in the United States. 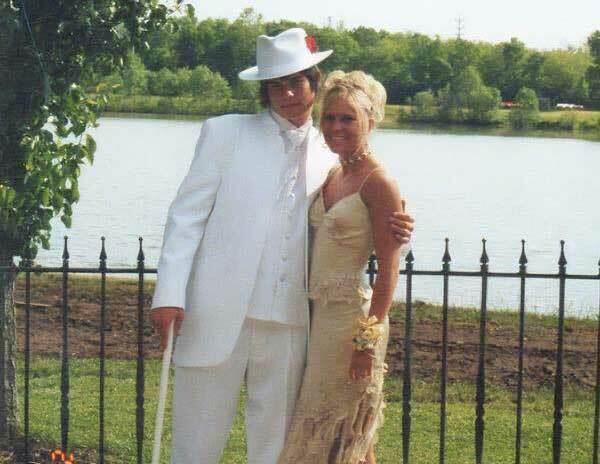 Christina Spradling-Earls and her “soul mate” Michael Earls, pictured here at their high school prom, got married two weeks ago. The couple from Cincinnati, Ohio, described as “soul mates” were celebrating with Earls’s family on a trip to Grand Cayman. The newlyweds had just arrived on island and were snorkeling off Morritt’s Tortuga Beach Resort when Spradling-Earls got into difficulties. Her sister Stacie Spradling-Back told the Cayman Compass Monday that the sudden death shocked the family and their community. She said she had few details of the incident. “We don’t know what happened on Friday. She was snorkeling with her husband and in-laws. She loved the water and was very comfortable in it,” she said. The couple, who met in high school, married in a small private ceremony with family earlier this month. They had planned a larger wedding celebration in October. Spradling-Back said, “They were high school sweethearts, soul mates, and their kind of love for each other was rare. “They’ve been together for 13 years. My sister was a friend to anyone and had a heart of gold. She could brighten anyone’s day with her smile and presence. This loss has hit our family and community pretty hard, which goes to show how much she meant to each and every one of us. Spradling-Earls, who worked as a secretary for a business in the Cincinnati area, was on her first trip to the Cayman Islands, a popular vacation spot for her husband and his family. Does anyone remember the song: “And it’s a sacrifice …” by Elton John? Death has no friends. It is a sure thing that each and every family has experienced it. Sometimes more traumatic than other causes , but alas we’ll all lose someone , a father ,a mother, a brother, a sister, a great friend , or simply an acquaintance .